Bedtime is every parent’s favorite word! Ahh… time for a bit of silence, a moment to regather your thoughts and maybe even catch a show or cuddle with your partner. Or, maybe it's time for a quick nap. When the eye-rubbing and cranky attitude set in, it's always a dance around how to best help baby fall asleep so that you can rest, too. 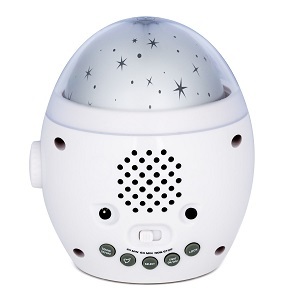 Here are a reviews of 11 best white noise machines for babies that will not only relax and ease your little one into dreamland but also help them to stay asleep longer and wake up more rested so you don't have to feel so tested! We're off to a great start with this product! This lead-free device was created using ancient techniques that have been putting babies to sleep for ages. Based on Dr. Harvey Karp’s book, “Happiest Baby on the Block,” the Baby Shusher uses rhythm and the ‘shushing’ sound to lull your love gently into rest. It’s small and portable and has a timer option for 15 or 30 minutes. This product has been proven to break baby’s cry spell and bring them into a state of peace. Less fighting means a better day for everyone! The Marpac Hushh is another portable accessory to help you master the art of the nap. Using white noise technology time-tested by the Marpac team, the Hushh offers three white noise audio options, a loop for attaching it almost anywhere, and a child-lock feature to prevent little hands from changing the settings. At under $30, this product is sure to give you a good value for your dollar! This three-in-one feature has your bedtime routines covered! 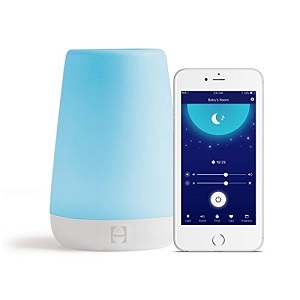 There is a night light for little ones who are still not sure about the dark, a sound machine for easing them to sleep, and a gentle wake up alert to prevent baby from oversleeping. The versatility doesn't stop there -- The Hatch Baby Rest Night Light is controlled by your smartphone, so you never have to worry about losing a remote! You can also use the auto functions for this product for even less hassle. 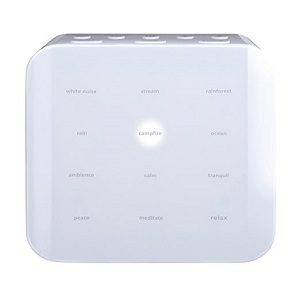 Another contender in the white noise category is the HemingWeigh White Noise Sound Machine. This one is not just for babies! Especially with more couples working at home, it can be difficult to get a nap in or focus on your work with so many activities going on in the house. Here is the device you need. The HemingWeigh effectively cuts out background noises and curbs the cranky! In addition, this product has a built-in USB drive and LED. It’s perfect for the day napper and the night owl alike. 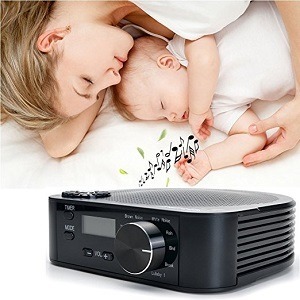 The Wave Baby is a diverse sound machine that offers custom soothing for you and baby. The high-quality audio production means the dreaded ‘loops’ disappear as it transfers from heartbeat to lullaby, to ocean, and other gentle sounds. This one also offers a USB port to help you keep your devices charged while baby drifts to sleep. Even the color is soothing, and it’s portable and built to last. Parenting is stressful! Let the Wave Baby take some of the edges off. The Galaxy Clock by MomKnows is a dream for parents and little ones alike! This product offers a visual component, broadcasting soothing stars across the room as a night light. This machine has a volume control to make the environment just right for snoozing. But, it doesn’t stop there! Use the quality tracks offered, or upload your own music. You can also check the temperature of the room by simply pressing a button. Adding the built-in clock and alarm, the Galaxy Clock is really a multi-purpose champ! 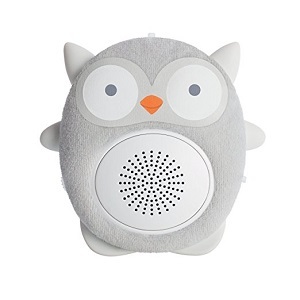 The SoundBub by WavHello is an adorable audio soother shaped like Ollie the Owl, Benji the Bear, or Bella the Bunny! Use the default white noises, or download up to 12 more free with purchase! 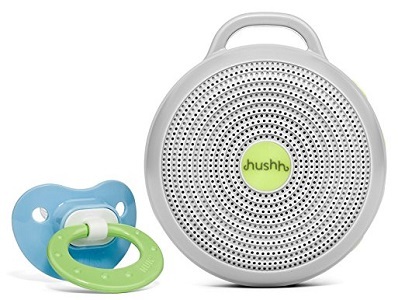 In addition, when the baby is done napping the SoundBub becomes baby’s personal playlist! 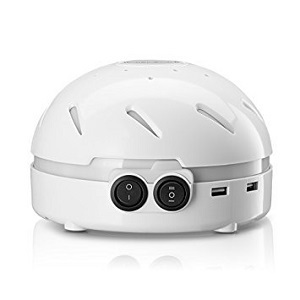 This product features a 30, 60, 90 minute or continuous setting so you can keep baby asleep longer when rest is needed, or help them make it through a quick power nap. This multi-generational device is good for babies, adults and office privacy, which is quite a bargain for only $31.99! The rotary dial allows you to easily select between settings like brown noise, typhoon, ocean, brook, rain lullaby, white noise, thunder, ocean and bird. It can be adjusted for 15, 30 and 60-minute intervals to suit you and baby’s needs. The controls are familiar and straightforward, so you don't have to worry about getting lost in a program to achieve the audio enhancement you need. The Baby Einstein is a clever sleep aid disguised as a toy! 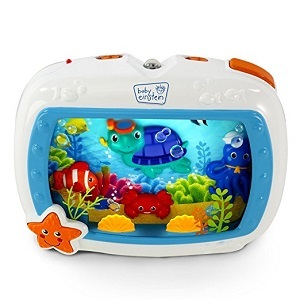 The vibrant, calming undersea scene will help your baby relax by engaging their mind while the Einstein gently fades and eases the music every 10 minutes. This is a perfect one to cradle next to your little snoozer as they are winding down in the crib. There are four settings to customize among the sound and light options. Tiny dreamers are sure to love it! 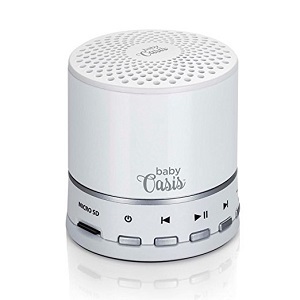 Doctor-approved Baby Oasis is a safe and effective sonic soother in a little package! Don’t let the name fool you; this is another one that's good for the whole family. The 12 preset audio options give you a wide variety to choose from for you and baby. Additionally, you can use your smartphone to find even more sounds. The volume and power controls make using this little machine easy to use. Comes with rechargeable batteries, and it’s built to last! This product from Sharper Image is for the parents! It comes with an out headphone jack for even more intimate audio effect. It comes with a great variety of sounds like calm, meditate, peace, ambience, rainforest, and the beloved white noise. Its simple design features easy-touch technology, an AC jack, and batteries for portability. You can adjust both the brightness and the time settings for 30, 60 and 90 minutes. Let this little cube help you get back to the best version of you! While some of these devices are more expensive than others, it's pretty easy to see that even just combining a few of these can help you navigate naps, entertainment, and much more through so many stages of life. A bundle of joy also brings a lot of sleepless nights and fits, so invest in peace of mind; you deserve it! It's your time now. Which one do you like the most? Previous Post 20 Best Compact Exercise Equipment For Small Spaces Next Post Do You Know These Mushrooms Benefits and Side Effects?